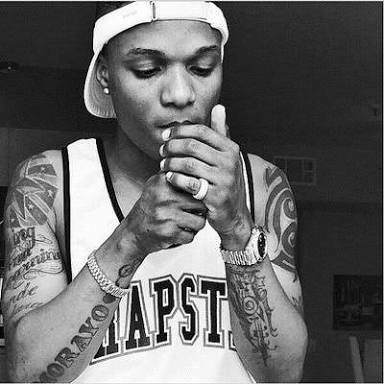 Wizkid who was suppose to honour an invitation to a show after so many millions has been paid for him to attend didn't show up due to some reasons best known to him. However, a fan who probably might have bought ticket for that show sees this as a means to throw subtle shades at Wizkid for not showing up. 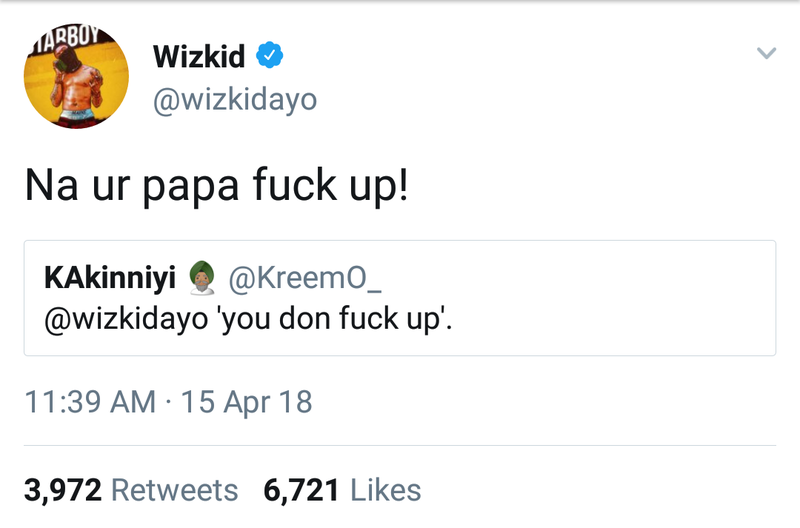 Wizkid who seems to be going through some tough times gave a direct clapback to the fan who tweeted at him ‘You don f-k up’. From that reply, it’s clear Wizkid is out for those who troll him .